scrambling to find other options. 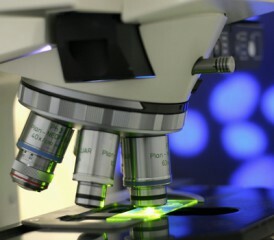 annual grant of more than $1 million, delivering a serious blow to future mesothelioma research. made despite minimal research funding. of the other grants from the CDC were reduced in the 2013 budgeting, but the NMVB grant was eliminated totally. The NMVB is a collaborative effort involving the University of Pittsburgh, New York University, the University of Pennsylvania, Mount Sinai School of Medicine and the Mesothelioma Applied Research Foundation. The goal has been to speed the development of preventative measures, and help develop novel therapeutics to fight the disease. That fight just became harder. more than 1,100 annotated cases available. clinicopathologic follow up and recurrence data. Specimen collection was expected to expand with the potential addition of new collaborating academic medical centers.